Wens Lens | Ultra Cool Blue Welding Lens | Made in the USA! Amazing clarity, enhanced definition, and reduced eye fatigue are just the start of what makes our Ultra Cool Blue Lens. Get the Ultra Cool Blue Lens in the shade you want, check out lenses from Aulektro, and grab a fun hood sticker all at our shop! There are over 50 retailers of Wens Lens! Find the retailer nearest you.
. We are a small, family owned and operated business, dedicated to bringing the Best Cool Blue Welding Lens on the market today, to the hoods of every hard working welder ! Thank You and May God Bless You. We provide Wens Lens Ultra Cool Blue & Aulektro Brand Welding Lenses. We have taken the AO Weld Cool lens of the past and redesigned it without Cobalt. It is a lens we are very proud . The front glass is a Dichroic Filter. These are reflection filters , not absorption filters. This means they do not get hot when doing their job. If they don't get hot they can maintain their integrity. We made these out of borosilicate glass because it is strong and filters UV radiation to some extent by itself. When adding the metal coating to them we only found .0002 of a percent of harmful UV light coming through our lens while welding. You get more UV radiation looking out your window than you get with the Wens Lens Ultra Cool Blue Welding Lens. These filters were made for observation of the sun in outer space. They should serve your welding needs well and for a long time because of the protected mirror and the all glass construction. We wanted to make a lens to Brag On,not Nag On. Check it out ! ! ! Here at Wens Lens LLC, we understand how hard it is to find a Good Quality Welding Lens. By bringing the Cool Blue Welding Lens Back to the Welding Industry (Wens Lens Ultra Cool Blue Welding Lens), available in Original (med Blue) or Electric Ice (lighter Blue,closer to the color of the Old Weld Cool)! We hope to make your job a little less stressful, for you and your eyes.We are Blessed also to Distribute the NEW Aulektro AQUA WELDING LENS as well. Gettcha Some! Just a Click AWAY !!! Some Saturdays we may be in half the day! 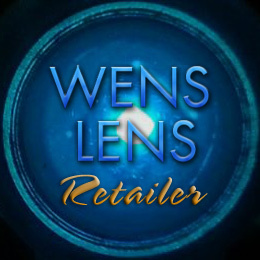 There are over 50 retailers of Wens Lens!